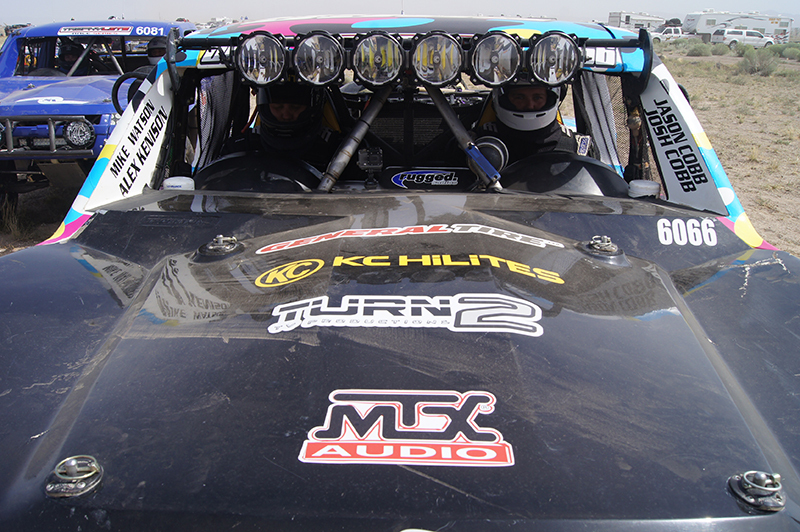 MTX's own Mark "Sarge" Schleipfer had the priviledge to work the Best in the Desert Vegas to Reno race with Phoenix Motorsports and MTX driver Josh Cobb. 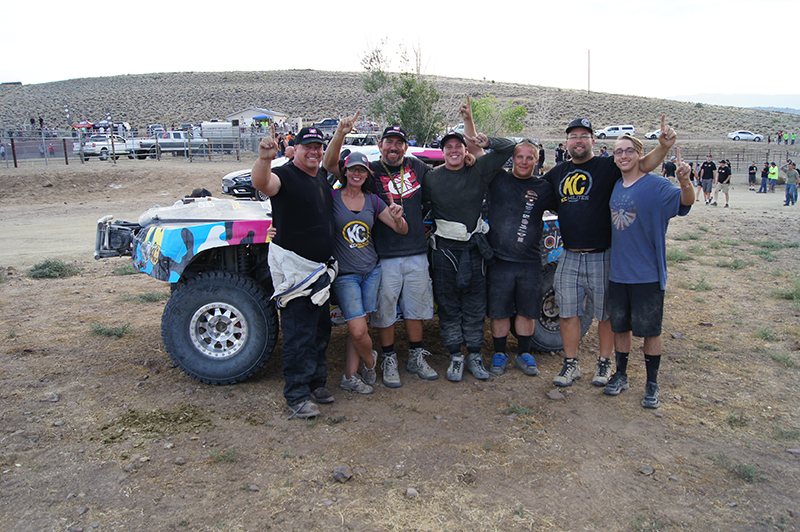 Sarge, a huge fan of desert racing himself, jumped at the chance to help work the pit with Phoenix Motorsports and to represent MTX at the same time. 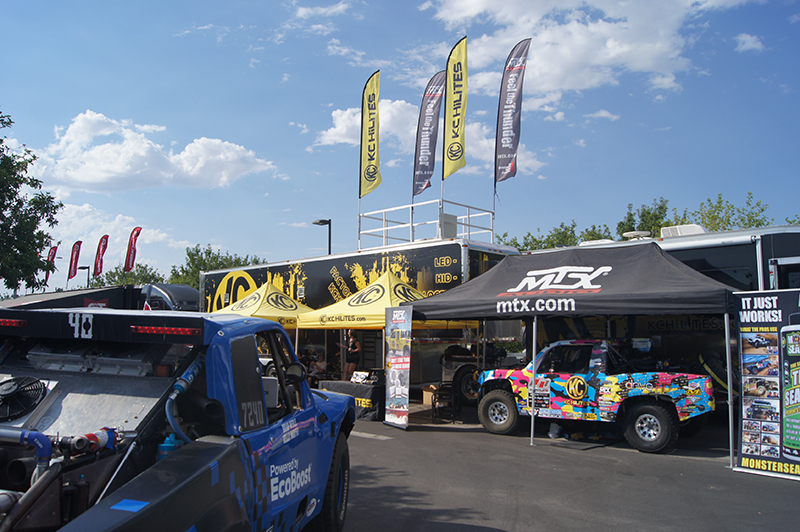 Starting in Vegas with contingency, the weekend kicked off in true Vegas style with a large crowd and plenty of people on hand checking out the truck and listening to Mark tell everyone about the cool audio solutions available from MTX. 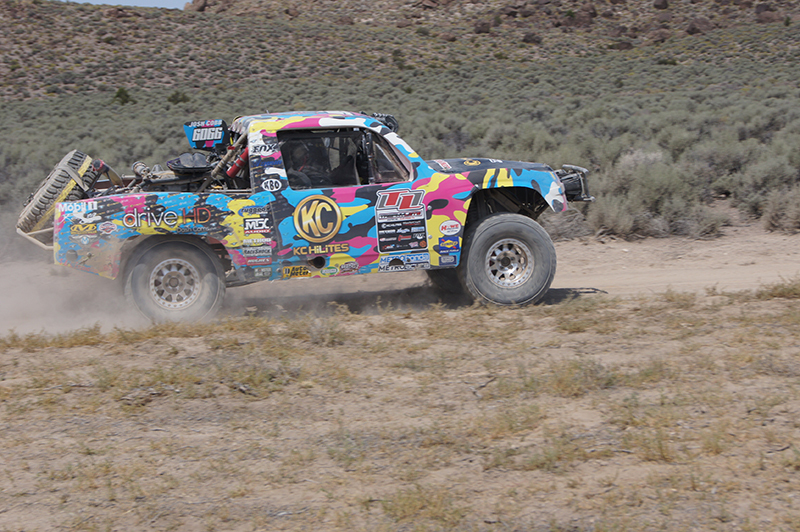 Over 340 vehicles were registered for this year's race in multiple categories making it one of the biggest race fields on record. 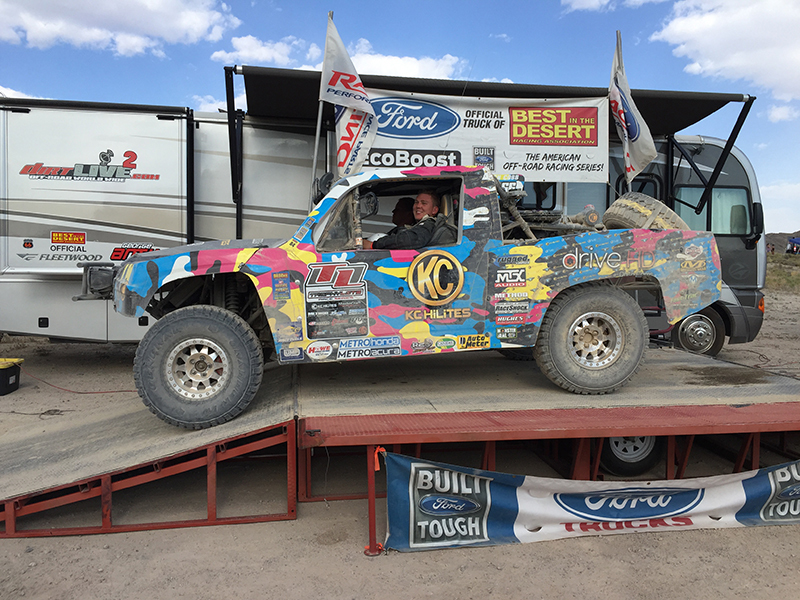 Josh Cobb and the #6066 truck were competing in the Trophy Lite category. Starting in 7th place Josh and navigator Alex Kenison battled through adverse conditions and visibility on the first day of racing to put themselves in contention going into day 2. 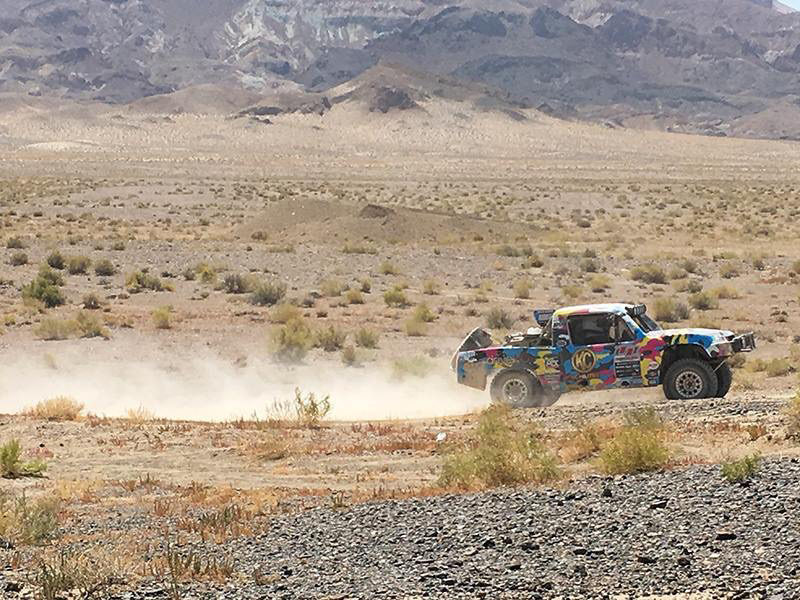 The second day of racing started early and Josh and navigator Michael Watson executed their strategy perfectly allowing them to finish in 1st place in their category. Congratulations to Josh Cobb and team on their exciting victory in this prestigious event.